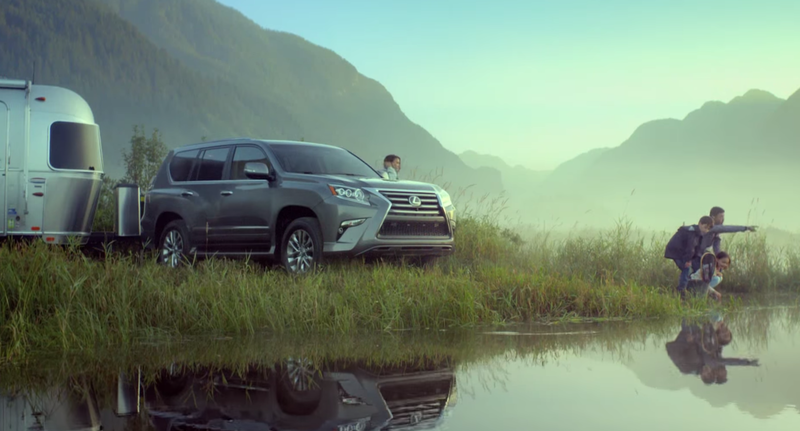 There’s an advertisement for the 2014 Lexus Adventuremobile, excuse me, the 2014 Lexus GX that first popped up back at the end 2013, and it has returned! I assume its resurgence has something to do with Lexus wanting move all of the 2014 models off of the lot in order to make space for the 2015 tuna cans, but I'm no car industry expert. Wait. Where am I going with this? OH, RIGHT. The song in the ad. I thought the song in the ad sounded like something I'd be into, so naturally, I wanted to hear it in its entirety. I consulted the Internet. According to Google, the ditty that piqued my curiosity is “Neon Eyes (Into The Deep)” by Saints of Valory. ...OR IS IT? If you listen to the full-length version of the song and the song in the ad, you'll probably notice that yeah, the two pieces of music sound somewhat alike, but they are not one in the same (my untrained ears zeroed in on the guitar and the tempo). Being that I am no music expert, here's how I'd describe the two tracks: Both songs are nice, but one gives me Coldplay vibes, and the other sounds a little Real Estate-meets-Temper Trap. Though the ad song and the full-length song are two distinct songs, and though I haven't found any mention by the band on their website or Facebook page about the ad using their song, YouTube commenters and various ad sites hold that "Neon Eyes (Into The Deep)" is what we hear in the Lexus commercial. Another nugget of information worth noting: Music industry conference Sunset Sessions awarded the Lexus ad's use of "Neon Eyes (Into The Deep)" the Best Use Of A Song In An Advertisement In 2013. THE PLOT WON'T STOP THICKENING. Maybe the band re-recorded the song for the ad, maybe the folks who made the ad were inspired by the Saints of Valory song, or maybe the similarities are merely coincidental. Always a sucker for a cover.